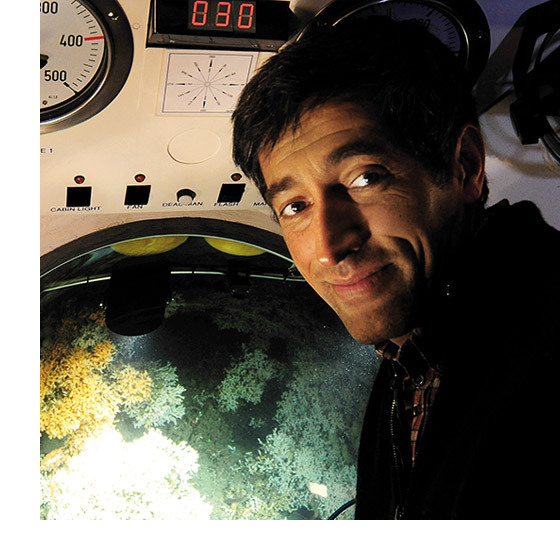 September 2011: fascinated, Ranga Yogeshwar gazes out of the large forward viewport of GEOMAR’s submersible Jago, 200 metres below the surface of Trondheim Fjord. In front of the science journalist lies a new world of cold-water corals, their delicate red and white filigree coral colonies gleaming in the submersible’s headlights. 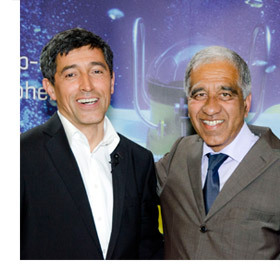 The impressions gained during this dive were later presented in Quarks & Co., Yogeshwar’s science programme on German television. In his TV programmes, which also include Die große Show der Naturwunder, the physicist and science journalist examines questions of science from various – and occasionally unusual – angles, and helps the general public to grasp their complexities. 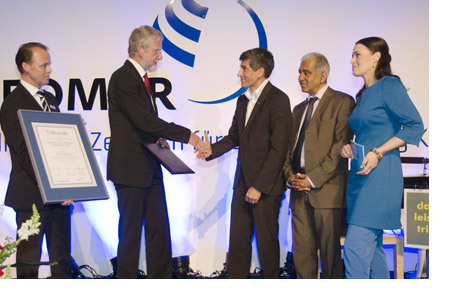 In his laudatory address, the renowned climate researcher Professor Mojib Latif stressed Yogeshwar’s efforts to draw attention to the consequences of environmental changes in the world’s oceans - Earth’s largest ecosystem - and to do so intelligibly and with a sense of urgency, while always remaining rigorous in his scientific reasoning.